“Are you kidding me?” “Coffee with egg?” These are the reactions of my friend on his first Vietnam trip to Hanoi when I invited him a cup of Vietnamese egg coffee; which is well-known as the quintessence of Hanoi beverage. Strolling around any street in Hanoi, travelers recognize quickly that Vietnamese people are going crazy for coffee. Coffee shops can be found from big streets with gorgeous decoration of colorful lighting system to every single corner with just a few small plastic stools. 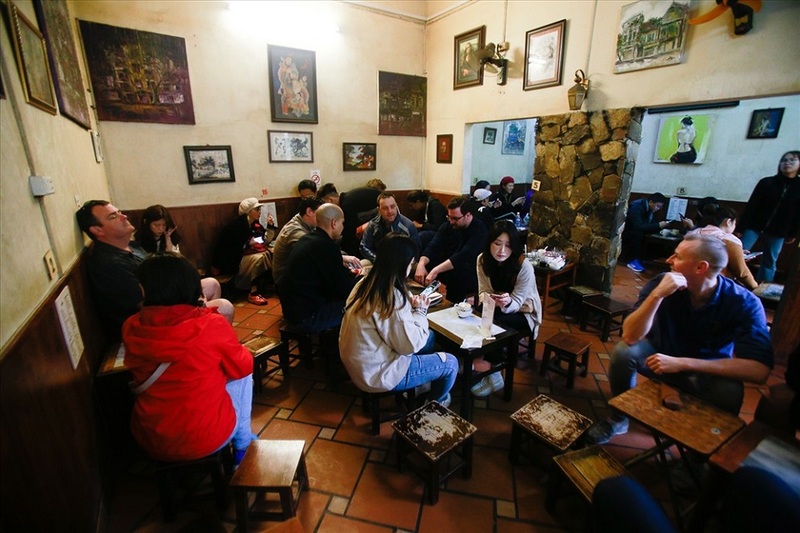 As a result, the image of people sitting, sipping a cup of coffee while gossiping with friends has been very popular in Hanoi for a very long time. 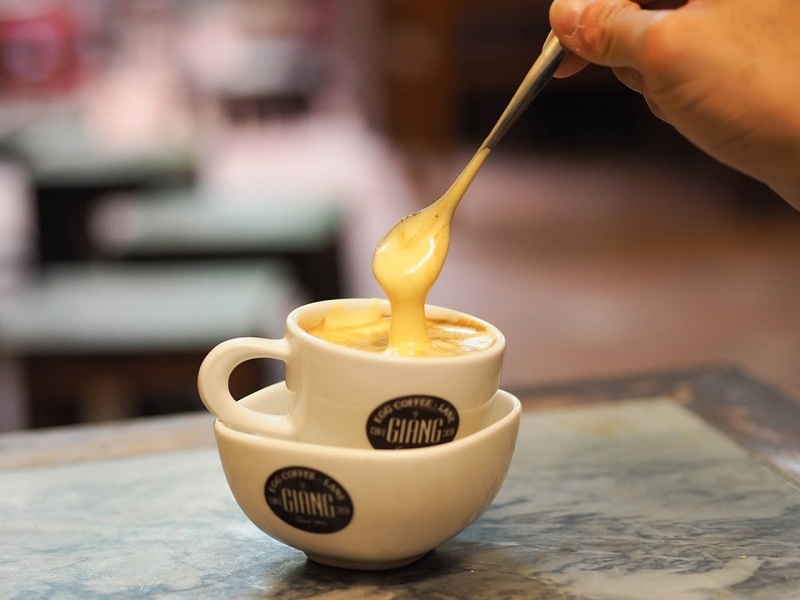 No one knows exactly when the “coffee culture” becomes indispensable to Hanoian ’s life; but there is one thing everyone admits Hanoi wouldn’t be Hanoi anymore without caffeine, especially the egg coffee. What egg coffee? Why egg coffee? 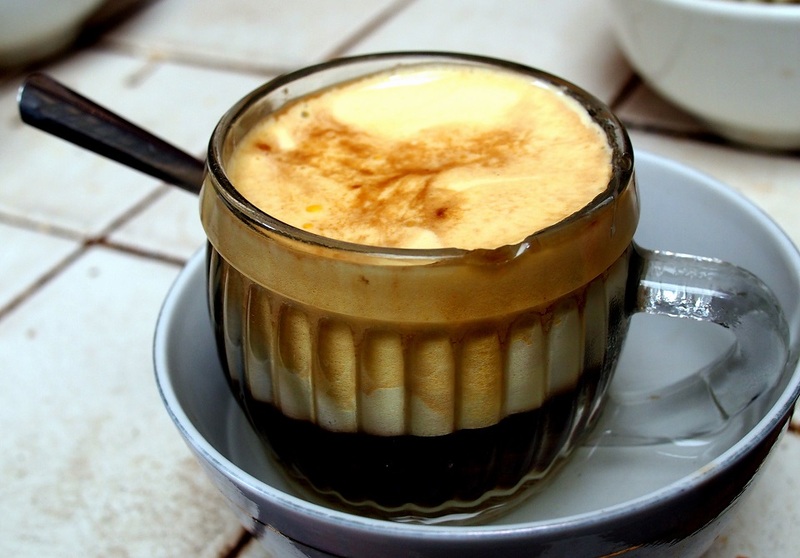 Egg coffee can be understood literally as coffee made with eggs, in Vietnamese, it’s called “Cà phê trứng” which is a must-try specialty in Hanoi. The Vietnamese egg coffee recipe is actually a creamy soft whisked egg yolk which is likely to perch on Vietnamese coffee. In other words, Vietnamese coffee is at the bottom, covered by a yellow layer of the egg which is quite thick, sweet but not too rich. If you look at a cup of egg coffee, you will be confused whether it’s a cupcake because of its creamy topping. If you smell it, you probably think it’s not the egg, it must be a kind of coffee flavored ice cream. Until if you have a sip, it’s real coffee with egg. So weird, so creamy, so tasty and so delicious. What is the word you will use to describe the egg coffee? You have 2 choices of egg coffee with hot version and iced version. The former hot egg coffee is served in a small cup accompanied by a dish of hot water in order to remain the warmth for coffee. By contrast, the bartender will put some ices into the cup, obviously, the iced version is less sweet than the hot one. It’s said that the inventor or father of the egg coffee Vietnam is Mr. Nguyen Van Giang who used to work as a bartender at 5-star Sofitel Legend Metropole Hotel. It has been mentioned already many Vietnamese people or Hanoians in particular drink coffee daily for a long time. Even some of whom are able to skip meals, however, can’t do anything without a cup of coffee in the morning. Unfortunately, during the period of the 1940s, fresh milk was so scarce and expensive in Hanoi; so he tried to find an alternative of egg yolk. A new formula was born that is a combination of egg yolk, condensed milk, and Vietnamese coffee. That creates a cup of coffee which is not only delicious but also more reasonable for a modest budget of almost Vietnamese people at that time. Since then, egg coffee has become an irreplaceable drink of many coffee addicts. 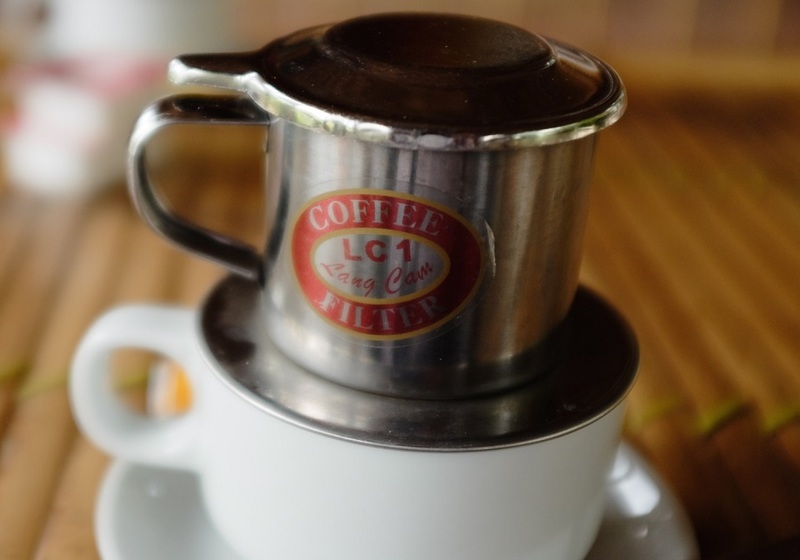 Even now, the Vietnamese market has recorded many big coffee brands to enter. An example of Starbucks, it offers latte, cappuccino, espresso, etc. However, egg coffee still remains an indispensable place. Because it’s not only about coffee. It’s a part of history. On the 1st step, you are going to make Vietnamese coffee. Obviously, it will be made by Vietnamese coffee. The fact that 70% of Vietnamese coffee is Robusta which is four times stronger than Arabica coffee. Keep in your mind that DO NOT use INSTANT coffee. In order to make it, you need to use a Vietnamese coffee filter. So, there is one question raised here is that where to buy one Vietnamese coffee filter. The answer is you can buy it online in Amazon, Ebay, Alibaba. Moreover, you can pay a visit to several streets in Hanoi such as Trieu Viet Vuong, Ly Thuong Kiet, Nguyen Huu Huan to get one standard filter coffee. If you forget to buy one filter, it’s fine to use the machine instead. However, if your egg coffee isn’t delicious as one in Vietnam, you know which you can blame for, right? It is making egg cream. What you need to do in this step is to whisk egg yolk and condensed milk until it reaches a certain level of creamy thickness. This step is much more difficult; because the experts of Vietnamese egg coffee do it with their experience so that they know exactly when to stop whisking. The last step of 3 is pouring egg cream on top of Vietnamese coffee. Let pour the weird mixture we have made on step 2 over the Vietnamese coffee which is strong black coffee of step 1. Last but not least, there is only one thing left to do, it’s time to enjoy your efforts. Remember to mix it up before drinking. Going along one of the endlessly busy streets with Hanoi walking tour, you can see many travelers which are pretty confused about where to go. Actually, they are trying to search for Café Giang which is a hidden-coffee shop, located in a narrow alley. Unlike others café, Giang Café doesn’t put on any frill. What they have are a modest board outside; some pictures hanging on the wall; small wooden chairs dotted by several yellow light bulbs. However, this coffee shop is still crowded all day because you can find the original egg coffee here. Do you remember Mr. Nguyen Van Giang who is mentioned above, inventing the egg coffee in 1946? Back to his invention of egg coffee, after he had made coffee with egg, both foreigners and locals tried and gave positive feedback about this strange drink. 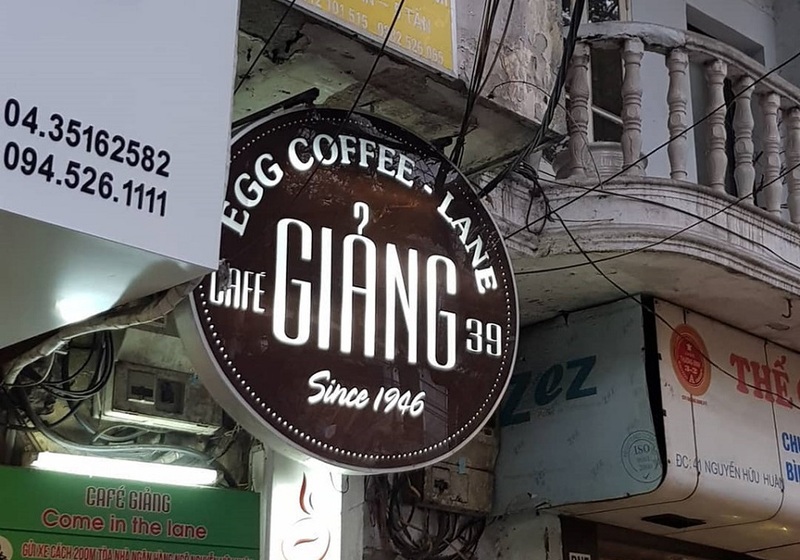 Mr. Giang decided to open a coffee shop under his name. Everything has changed over time; even though Giang café has been removed from the 1st address, the formula of making Vietnamese egg coffee hasn’t changed at all compared to the original taste 70 years ago. Mr. Nguyen Van Dao, son of Mr. Giang, who is inheriting and controlling café Giang, is explaining about the ingredients. Giang’s egg coffee is made from coffee powder, condensed milk, a butter, cheese, egg yolk, and a secret he never tells. You can try to ask him, but you definitely receive his smile in return. Now, café Giang has 2 addresses; one in 39 Nguyen Huu Huan and one in 109 Yen Phu. Taking a look at its menu, you can see a list of not only egg coffee but also cacao with egg, chocolate with egg, even beer with egg. 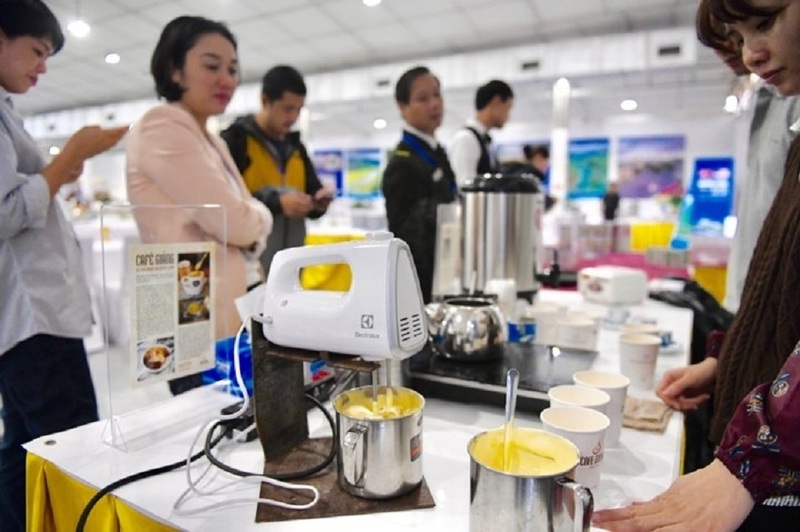 Recently, Cafe Giang provided 3,000 cups of egg coffee for international journalists working during the summit of President Donald Trump and Chairman Kim Jong Un. Since then, Giang coffee has been receiving a lot of compliments and become more and more famous. “Egg coffee, it’s probably stinky”, a guest said. “No, it’s not stinky at all. If it is, I give you a free cup. But if not, you have to pay for 10 cups”, Mr Hoa – owner of café Giang replied confidently. Then, the foreign guest took a sip with a suspicion. However, one second later, he drank all and confessed: “I’m wrong and I will pay 10 times the price”. Of course, he just needed to pay the price for one cup, because the real value of Vietnamese egg coffee is not on commercial one, it’s your satisfaction. If you have much more time, you can ask your travel consultant to combine one above with this tour of Vietnam Cultural Highlights 14 Days. It will be a great chance for you to experience not only unique local activities in Hanoi but also its cultural diversity.